Catharine Arnston, a Boston native is the founder and CEO of EnergyBits, a product which promises more energy, better health, and slow aging. The only catch is that this dietary supplement is purely algae. With a proposal of $500,000 for 5% stake in the company, will the sharks take a dip in the pond for this deal? With the dietary supplement market growing every single day, more and more products are introduced each day, guaranteeing you a healthier lifestyle. But what about going all the way to the bottom of the food chain? Fish? Herbs? Not quite low enough for Catharine, which claims the next big trend will be…. algae. According to her, the supplementation of a healthy diet with algae will lead to an increase in energy, increase your focus, satisfy your hunger, they increase athletic performance and speed recovery. All this for one calorie per tab. Although famously used in Asia for over 50 years, their use in the United States is not very common yet. That could all change with EnergyBits! Catharine’s company has two main products: EnergyBits and RecoveryBits, which can both be used at the same time. On display, we could also see another product, SkinnyBits, although the sharks did not sample this product. Although the only ingredient in each package is just algae, each product relies on different types of algae to achieve different results. RecoveryBits are made up of Chlorella, that builds your immune system, pulls out toxins including lactic acid which is why the athletes take it. On the other hand, EnergyBits are purely composed of Spirulina, which provides you with energy, focus, and satisfies your hunger. When asked by the sharks about documented studies to justify the algae use, Catharine was only able to come up with one study, which documented that Spirulina contains a substance able to reverse the growth of tumors and cancer. The sharks took this information with a grain of salt and were quite hesitant to believe in this information. Each packet comes with 30 algae pills, and the recommended dose is… you guessed it, 30 pills, meaning one entire packet equals one serving. But how did Catharine decide to take her first dip in the pond and build a business based on algae? When her sister developed breast cancer, her oncologist told her she should change her diet. After helping her research the foods, Catharine started learning more about plant-based nutrition and ended up going back to school to study Nutrition. She ended up focusing on algae and found out it’s been sold in America for 50 years but it’s never caught on. According to her, it was due to a lack of proper branding. After 2 years of research, she ended up going through bankruptcy but decided to stick to her gut instinct and keep working on the products. The company has been in business for 6 years, selling only via their website. The pills are sold for $115 per bag and $4 per packet, with each bag having 1,000 pills and each packet containing 30 pills. The cost of production is $40 for a bag, and the cost of production for one packet was not mentioned. The company has been doubling sales almost every year, summing up to a total of $1.5 million in 6 years and $300,000 in the past year. With so much money in sales, it was quite surprising to know that Catharine hasn’t made a profit for herself yet, as all the money is being reused in the company in order to improve the products. According to Catharine, this is the company’s pivotal year, claiming next year the company will start to make a profit and “blow up”. After knowing the company’s sales, Daymond pointed out that the company’s valuation is not at all close to its real value. Catharine stood behind her valuation claiming the company’s value resided in its branding and mainstream use. Kevin was one of the first sharks to break the hard news to Catharine: he won’t invest. According to him, the company’s valuation is what will bring the whole company down. There’s nothing proprietary about algae, and the company is making no money. Next up, it was Mark’s turn to back out. He even shared that he had also gone through some hard times, but at least he changed his behavior in order to succeed. According to him, Catharine was quite disconnected from reality and therefore couldn’t even see that her business strategy would have to change immediately. After Mark dropped out of the race, Catharine mentioned the company was going to move on to retail soon. Lori said this was a scary move, due to the packaging and branding. That is, since one of her products is called SkinnyBits, the consumer will assume he or she will lose weight just by eating the product. Catharine said that the company doesn’t make any claims, although her whole pitch was based on unfounded claims and not facts. Lori warned her to be careful and backed out of the deal. Daymond decided to ask if there are any food allergies and if the product is safe for consumption by everyone. Catharine mentioned that every company has product liability insurance, but then referred the company doesn’t have it yet because they haven’t been able to afford it. This was enough for Daymond who dropped out of the race. Robert was the only shark still on the race. He advised her to adjust her business plan her strategy since she has gone bankrupt and is not making money even after 6 years. He too ended up not investing in the company. All sharks are out, and Catharine left with no money, but surely with plenty of useful advice. 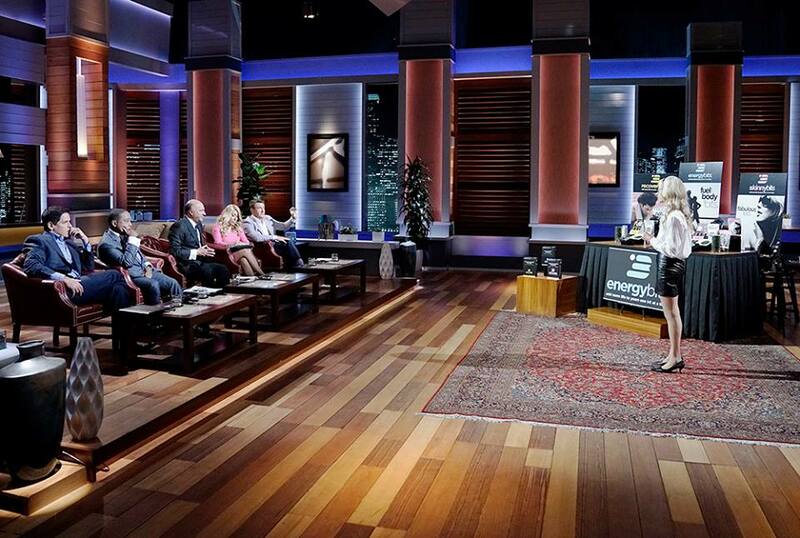 What happened to EnergyBits after Shark Tank? Surprisingly enough, after the appearance on Shark Tank, the company became an Internet sensation overnight. Catharine managed to get a deal with 50 different retailers, received endorsements from several doctors, and changed the product’s packaging. On top of all that, she managed to once again double the company’s revenue in 2016. Catharine is a strong woman and we believe she will take her company go very far and be very successful. If you would like to know more about the company, visit www.energybits.com or you can buy the products online.